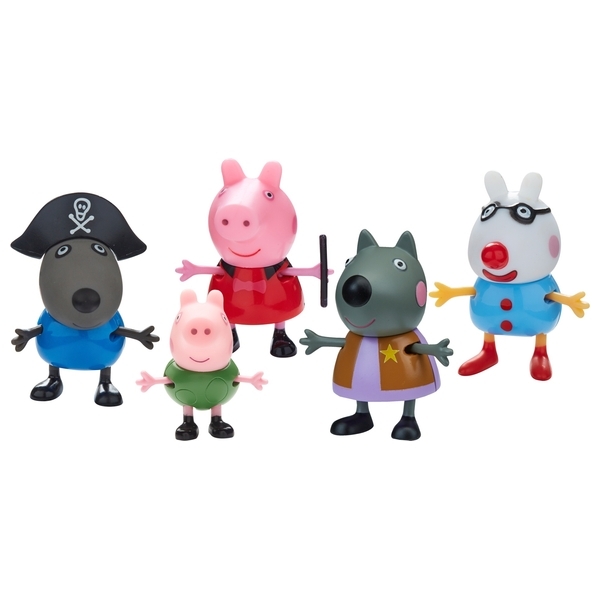 Peppa Pig collectable five pack of figures in the fun dress up costume designs! Each figure is articulated with moving arms & legs. There's Princess Peppa, Danny Pirate, Pedro Clown, Candy Witch & George Dinosaur. One five figure pack supplied. Styles may vary.